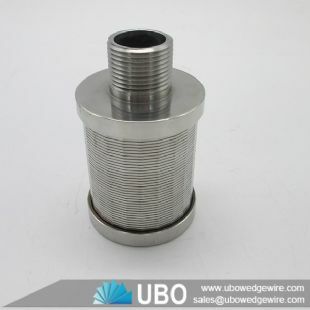 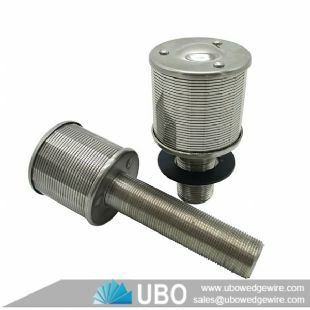 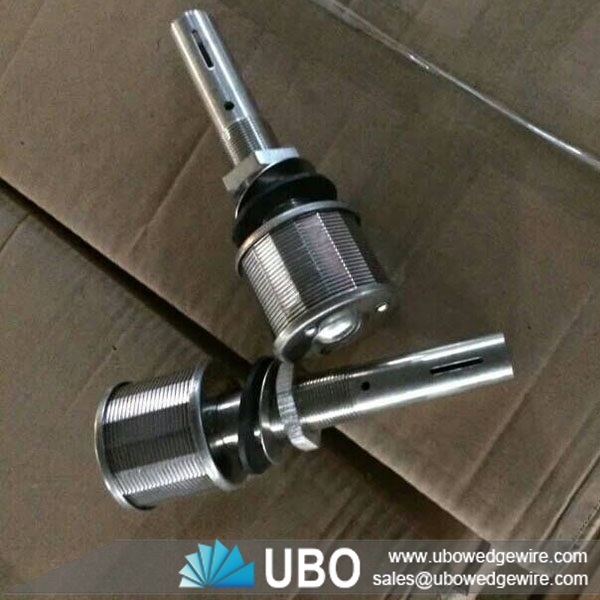 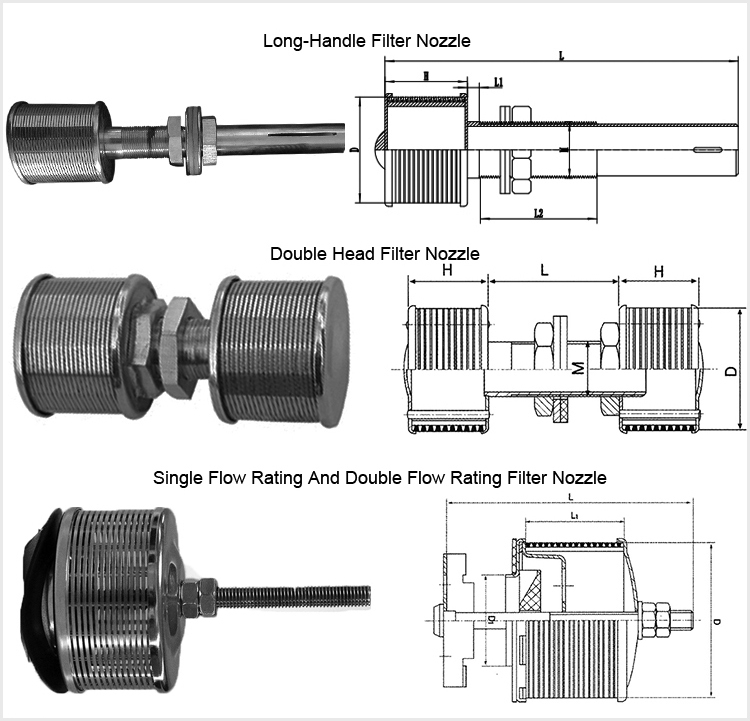 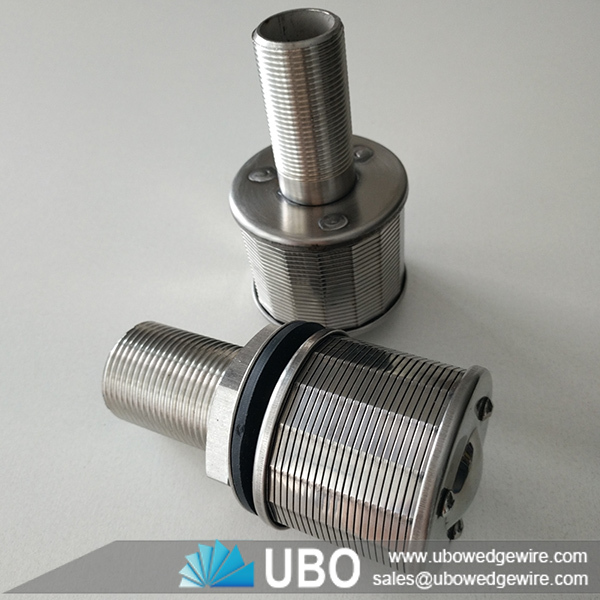 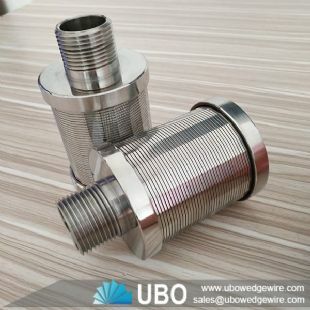 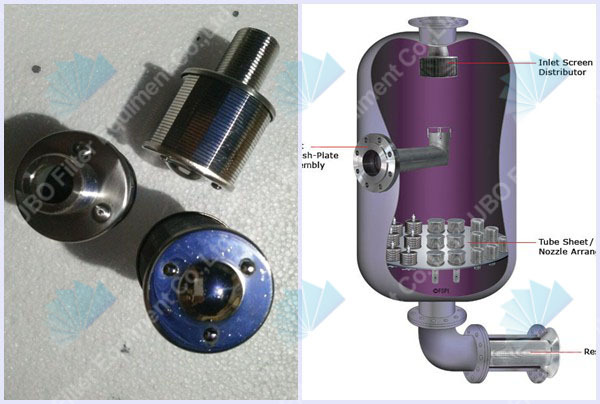 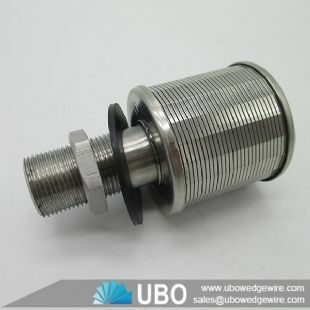 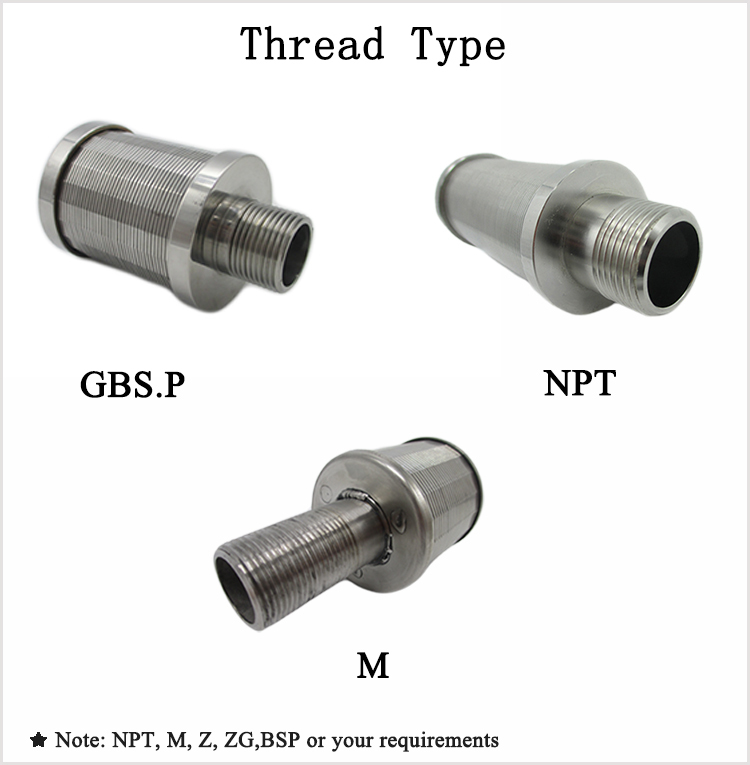 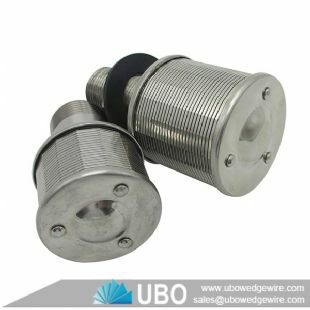 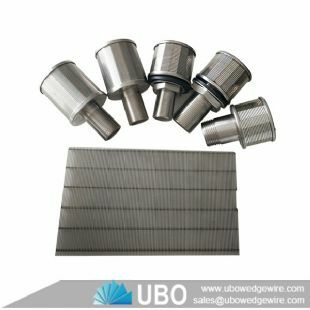 NPT thread water treatment Johnson type wedge wire filter nozzle strainer is a screen filter strainer. 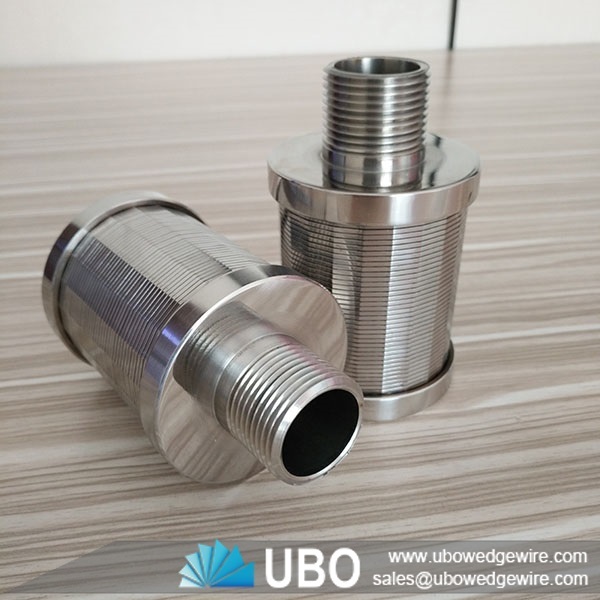 Nozzles are closed on one side and have a threaded fitting on the other. 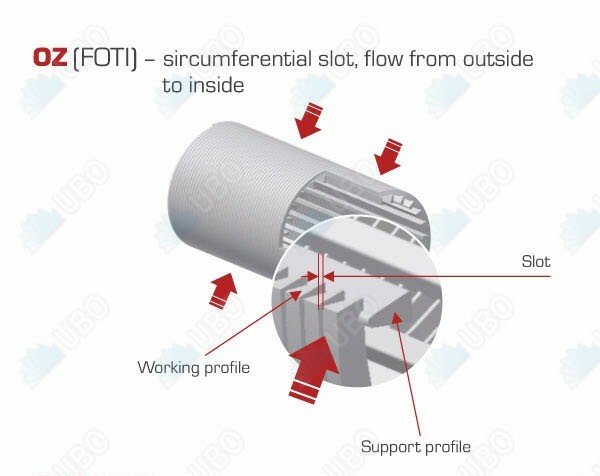 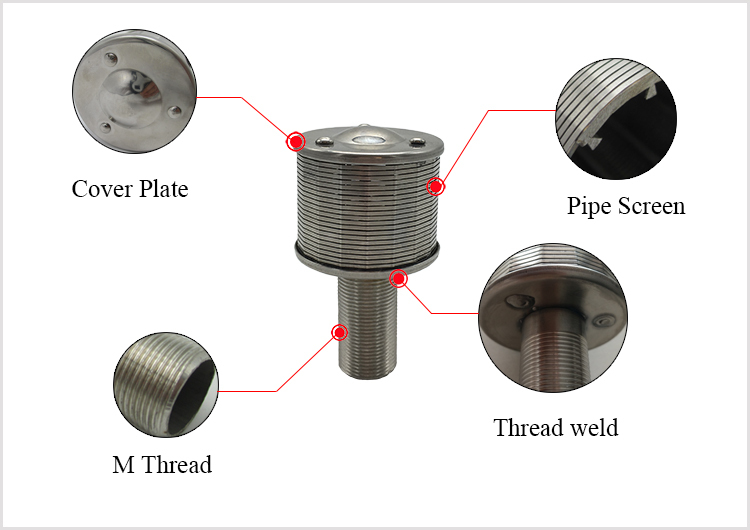 The screen nozzle with thread coupling can be fixed on the filtering equipment for the filteration of water petrol resin and other medium.One rubber shim , one steel shim and two thin nuts of the same material for a nozzle.